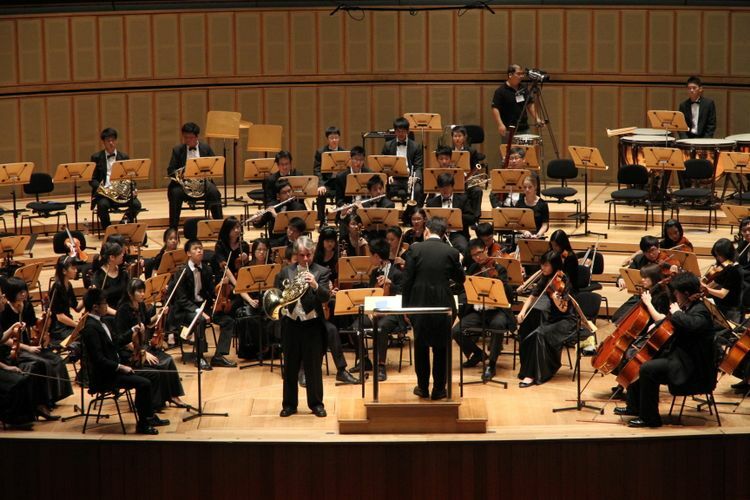 The Singapore National Youth Orchestra (SNYO) is a National Project of Excellence under the purview of the Arts Education Branch, Student Development Curriculum Division, of the Ministry of Education (MOE). The orchestra is a non-profit organization and is funded entirely by the MOE. The SNYO is singular in its quality, makeup and promise in Singapore today. The youth orchestra is well regarded as the premier national orchestra for young musicians. Members of the SNYO come from a total of 45 primary and secondary schools, junior colleges, international schools and tertiary institutions, as well as students in the international schools in Singapore. "Russian Extravaganza" is an evening of Russian orchestral masterpieces conducted by SNYO Principal Conductor Leonard Tan. The concert opens with Dmitri Shostakovich's well-known Festive Overture. The highlight of the concert is Peter Tchaikovsky's Symphony No. 4. Three young musicians will perform two pieces by Felix Mendelssohn: Violin Concerto featuring Neville Athenasius Ang, and Konzertstück no. 2, featuring Benny Lim Wei Cheah and Ralph Emmanuel Lim.